Due to procrastination and being distracted by Arkham City, today’s blog is short on in depth analysis. 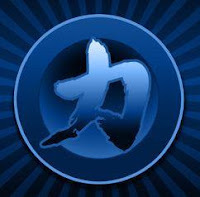 Instead, I’m going to post five youtube clips that showcase some of my favorite Chikara moments. HYDRA SAYS GOODBYE: Hydra was initially brought into Chikara by Ultramantis Black to be his deep-sea henchman. When Tim Donst infiltrated the Order of the Neo Solar Temple to find out who had taught the rudos the Chikara Special finishing move, he and Hydra formed the tag team known as the Sea Donsters. Donst eventually turned on Hydra and beat him in a loser leaves Chikara match. This is Hydra’s farewell speech. TEAM WWF INVADES CHIKARA: At the 2006 Tag Team Grand Prix one of the announced team was Team WWF (World Wildlife Foundation). When it came time for the team to make their entrance, the crowd was in a collective state of shock as Colt Cabunny and CP Munk, the straight edge chipmunk were introduced. It was revealed towards the end of the match Cabunny was really Joker from CZW and CP Munk was Necro Butcher. Colt Cabunny has recently returned to Chikara as the official mascot of “March Madness” Archibald Peck. The big question is who is under the mask and will we find out at High Noon when Peck faces Colt Cabana. EQUINOX BECOMES VIN GERARD: What a difference a change in character can make. Equinox was a luchadore trained in Mexico. Or so the fans were told. In 2007 Equinox had a mini-feud with Chris Hero going which culminated in a Hair vs. Mask match. Equinox lost and after his unmasking it was revealed he was actually Vin Gerard, a failed student of the Chikara Wrestle Factory. As Gerard tried to return to the backstage area, he was met at the curtain by the rest of the masked Chikara roster and was blocked from reentering the locker room. Vin would go on to form the Unstable with Stigma (formerly Shane Storm who was revealed as the guy who taught the Rudos the Chikara Special.) and Colin Delaney (Olsen) upon his return to Chikara after appearing in ECW. The following video gives a recap of the unmasking angle. THE STRUT OFF HEARD AROUND THE WORLD: The King of Trios 2008 featured a match of Larry Sweeney, Shayne Hawk and Mitch Ryder vs. the team of Demolition and the One Man Gang. Before the match got started, Larry Sweeney challenged the Gang to one of his patented Strut Offs. Unfortunately I couldn’t find a clip from the actual DVD. But still, this is pretty awesome. GREATEST WRESTLER EVER: All I’m going to say about the final clip is the commentary by Eddie Kingston is some of the greatest commentary ever. Enjoy. For more on Chikara, check out their website by clicking here. You can also watch highlights on their YouTube channel. Order the High Noon iPPV by going to this website. The event is coming up on November 13. Of course, don't forget to like My 123 Cents on Facebook. Follow us on Twitter. And subscribe to our YouTube channel.